It's no secret that I crave something sweet after every meal. It's funny how my mind works with dessert. Let's say I have been eating good all week, and feel it's okay to live a little..Some people would want to dive into something fried, or greasy, or savory. But the way I see it, if I eat a couple of fries or snack on fried artichokes, it doesn't count. I still want to eat dessert. I haven't lived until something sweet has touched my mouth. Schmalls are delicious. You can make them decadent or simple. I have made schmalls before, but these are a little different. 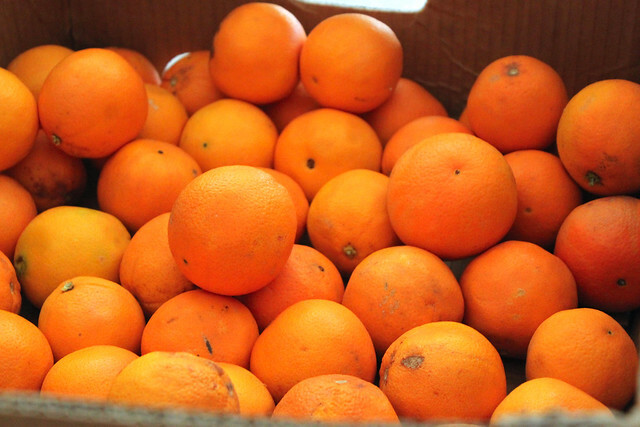 You see I have had this HuGe box of oranges sitting in my house for the past week, and I've been tempted to throw them into...everything. Then my husband asked me..
"Why are you on this orange kick lately??" "You know, I have never been a fan of oranges.."
"You know, I have never been a fan of sharing.."
1. 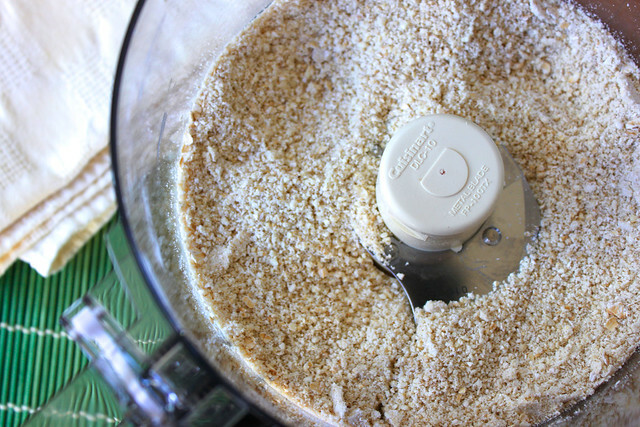 In a food processor or high speed blender, process the cashews and oats until fine. 2. 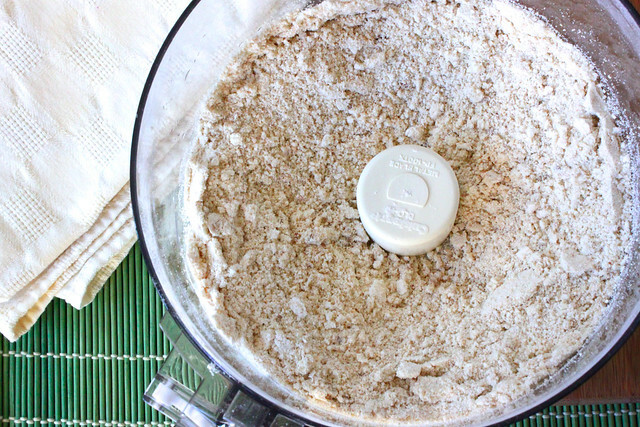 Then add flour and dates, and process until fine crumbs. 3. Now add in maple syrup, vanilla, 1/2 orange zest, and 1 tsp. OJ. 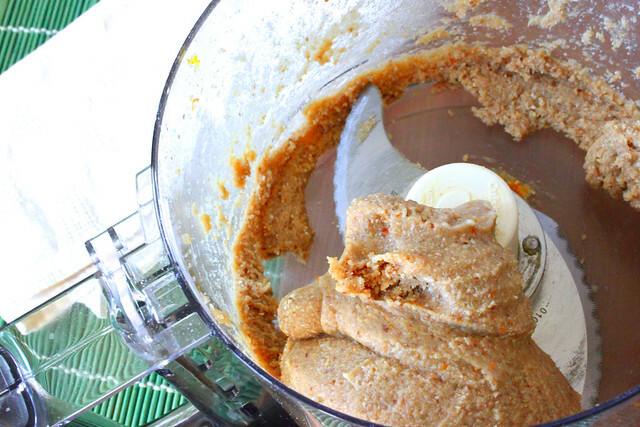 Puree until a big Schmall forms. 4. Next add in chopped chocolate/ chocolate chips. Take dough and form into little schmalls. Insert a toothpick in them and place on a prepared cookie sheet lined with parchment paper or baking mat. Set in fridge, then get ready to melt chocolate. 5. 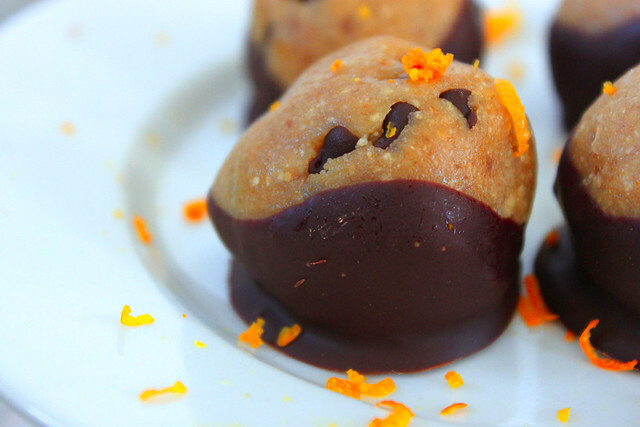 In a double broiler, melt chocolate and orange zest until creamy. Remove from heat, and get schmalls out of the fridge. 6. Dip the schmalls into the chocolate about halfway. 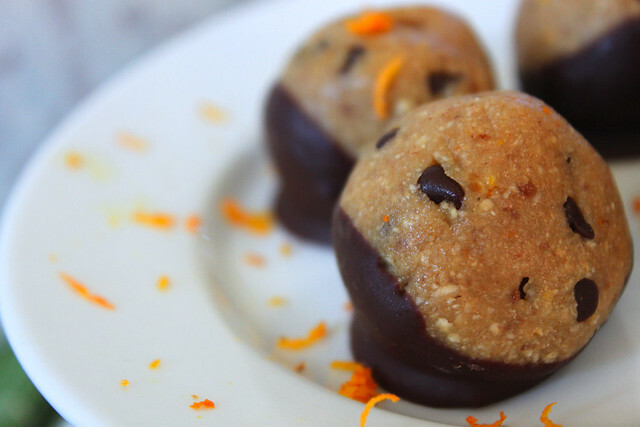 If your a chocolate and orange fanatic, you are going to love these! 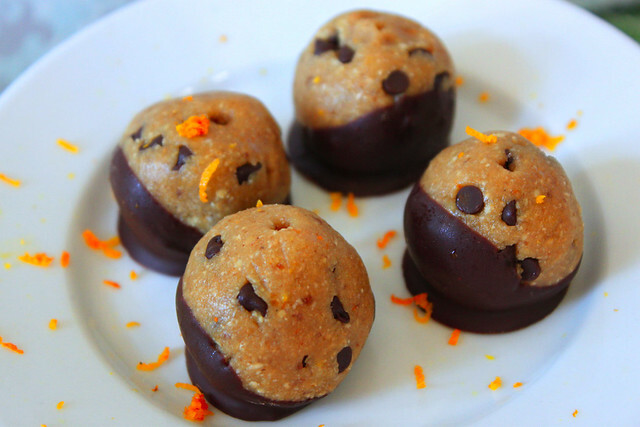 But if your not, you can definitely omit the orange, and make plain cookie dough schmalls! Are you ready for a math question? Have you ever known someone who says they are sooo picky about certain food, that they won't branch out? And then, once you make something they swear they will hate...They end up falling in love?